Police in Collierville, Tennessee, are investigating the disappearance of a former professional basketball player and say "there is a high level of concern" in the search to find him. 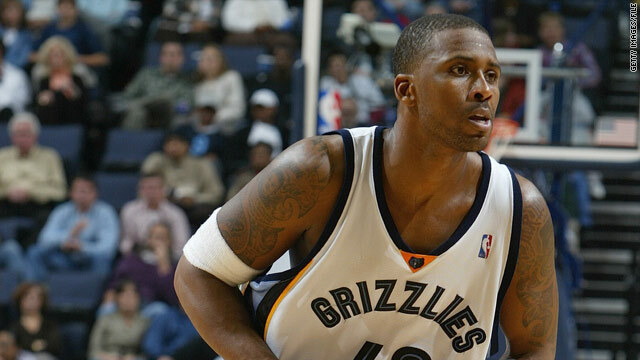 Lorenzen Wright, 34, who played 13 seasons in the NBA, has not been seen or heard from since July 18 when he visited his ex-wife and their children in Collierville, near Memphis, investigators said. Collierville police spokesman Mark Heuberger told CNN that Wright's mother reported him missing on July 22. "We're taking it very, very seriously," Heuberger said, "and there is a high level of concern." "His mom made the report because she felt it was unusual that he did not contact his children for an extended period of time, that's what made her prompt to contact the police," he added. "This is not like him," Wright's sister, Savia Archie, told CNN Tuesday. "I haven't talked to my brother in nine days. He doesn't go without talking to family. "I'm trying to keep my faith in the world and that he's not in trouble and hopefully he will come home. He's my big brother. Without him, there's no me." "Our detectives have talked to a lot of people -- former coaches, players, sports agents -- and continue to follow leads given by the public," Heuberger said, "and we're working very close to the family." Archie, Wright's sister, described her brother as a loving son, father and uncle. "My sister had a baby shower last Sunday and he was supposed to come," she said. "Something had to have happened." The 6-foot-11-inch Wright, who lives in Atlanta, was a forward/center for several teams during his professional basketball career. He played with the Los Angeles Clippers, Atlanta Hawks, Memphis Grizzlies and Sacramento Kings. He was with the Cleveland Cavaliers in 2008-2009, his last year in the NBA. Wright, who has six children, completed his degree at the University of Memphis in 2003, according to the official NBA website. Police are asking anyone with information on his whereabouts to call 901-853-3207.